-Hair Systems Work Together To Optimize The Condition Appearance And Integrity Of The Hair, Products That Meet The Needs Of Everyone, The Art Of Healthy Hair. 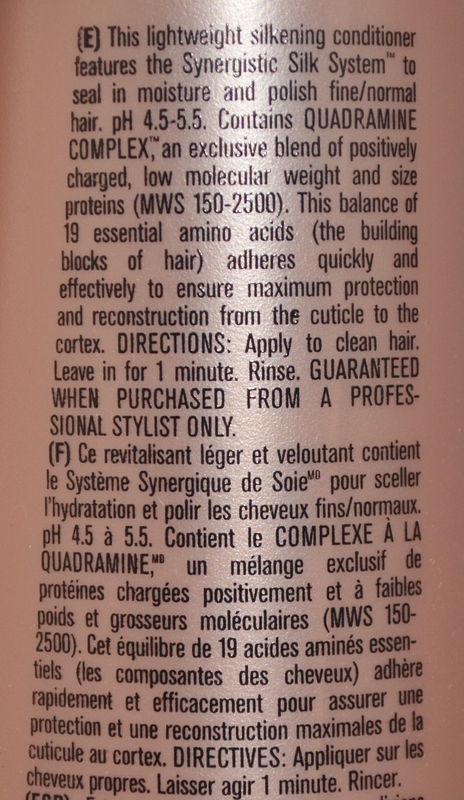 -This lightweight silkening conditioner features the Synergisitc Silk System to seal in moisture and polish fine/normal hair. -Contains Quadramine Complex and exclusive blend low molecular weight and size proteins. -This balance of 19 essential amino acids adheres quickly and effectivley to ensure maximum protection and reconstruct from the cuticle to the cortex.